Insta360 announced that they are working on adding new photo mode to the Insta360 Pro that would enable a photo resolution of 15K via a firmware update (i.e., no change to the hardware). The upgrade would put the Insta360 Pro’s resolution almost on par with that of the Panono, which currently has the highest 2D photo resolution among all-in-one 360 cameras. Insta360 also discussed the other features they are working on. 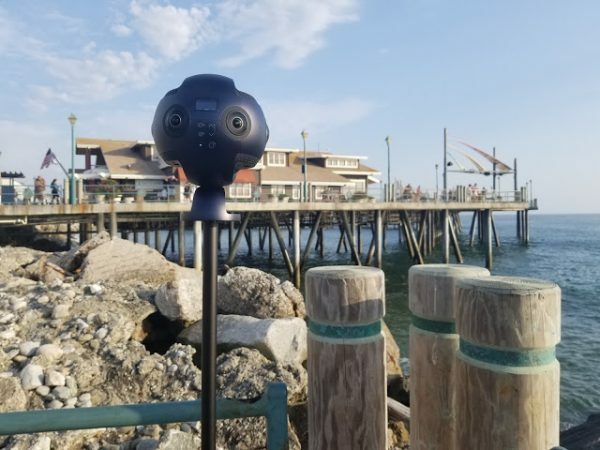 Insta360 Pro (reviewed here) is Insta360’s flagship professional 360 camera that can shoot 8K 360 video in 2D, 6K 3D 360, or 4K live streaming (in 2D or 3D). In addition, it can shoot 8K 360 photos in 2D (7680 x 3840) or 3D (7680 x 7680). Insta360 said they are working on a new Super Resolution mode that would increase the photo resolution by 4 times, without any change to the hardware. At 4 times higher resolution, the photos would have a resolution of 118 megapixels in 2D (15,360 x 7,680) or 236 megapixels in 3D (15,360 x 15,360). At 15K, this would be the highest 3D 360 photo resolution for an all-in-one 360 camera. The 2D resolution would be around 12% less than Panono’s resolution (16,384 x 8,192) but would still be one of the highest resolutions available for an all-in-one 360 camera. In their internal testing, the Super Resolution mode already works but takes an extremely long time to process. Insta360 is therefore working on accelerating the processing to make it practical for users. Incidentally, this would not be the first time Insta360 has added such a major feature via firmware update. For example, earlier this year they added image stabilization to the Insta360 Nano and to the Insta360 Air, and added optical flow stitching to Insta360 Air, all via firmware. – reducing the startup time by more than 60% to just 20 seconds (it currently takes about a minute for startup). Insta360 is planning to release the updates for these improvements (including Super Resolution mode) in about 4 weeks. If you’d like to get the Insta360 Pro, send me a message on the 360 Rumors Facebook page or contact form so I can help you get an exclusive discount for 360 Rumors readers. Or you can order it through Amazon or B&H Photo. What do you think of the new Super Resolution mode? How significant would it be for you? Would you use it even if processing a Super Resolution photo takes a very long time? Let me know in the comments! I am guessing that instead of using 3 lenses per eye, maybe they’re using all 6 lenses per eye? As mentioned in the article, the technique is called super resolution, where you can get subpixel resolution but taking a series of shots and combining them. Natural movement should be enough to ensure that the frames are slightly shifted from each other. If you have the camera you can try it yourself now, keep the camera fixed, take a series of photos, find a superesolution program somewhere on the internet, and process them. I’m guessing diffraction will limit the actual resolution pretty quickly. Nice. Maybe other manufactures will take note. This uses a similar process as the the app Hydra for IOS or most notably the high-res mode of phones like Asus Zenfone 3 DeLuxe, Ultra and AR that can take up to 92MP resolution photos from their native 23MP Sony IMX318 sensor. This technique works very well and the results can be amazing though every photo takes a few seconds to process. Its called image stacking and you can do this also manually in Photoshop by merging several shots taken from any camera that is still (it will not work as well for fast moving subjects). To do it manually in Photoshop is a pain and takes long time. I have taken 168MP shots from my Sony a7RII and the results are stunning! So having this automated on mobile phone or via software/hardware that can do it directly, is much easier. This speed and efficiency of this technique is dependent on the final file/image size and the processing speed. The Insta360 Pro will therefore always be limited by how fast its internals are or, how fast a computer/software is if done later on the desktop via imported images. So even if Insta360 is working on accelerating the processing to make it practical for users, it will never be a fast operation and and requires very complex rendering. Best hardware that I have seen this implemented so far is on the Asus Zenfone 3 series that capture the multiple images almost instantly and renders the final 92MP files in just a few seconds. The resulting image quality is something iPhones wont even be like in 10 years from now. Unfortunately Asus mobile phones dont get the proper marketing nor hype as other phones and for the most part not ONE SINGLE print/online/YouTube reviewer has EVER reviewed this feature.. that goes to show how much all these “pro reviewers and experts” actually know about the products they are talking about.. clueless..
That’s a great news for my 360pro !!! Can’t wait for the update. The foto’s are now not good enough.. Which camera do you recommend for virtual tour imagery? The Xiaomi Mi Sphere has a photo resolution of 6912 x 3456 while the insta360 pro currently takes 2D photos at 7680 x 3840. On the paper there isn’t much of a difference. But does the insta360 pro take significantly better/detailed photos? If taking photos is all that’s required then…would you recommend buying the costlier insta360 pro over the cheap Xiaomi Mi Sphere? Hi Osman! Great question — please stay tuned, because I have something that will address precisely that question. 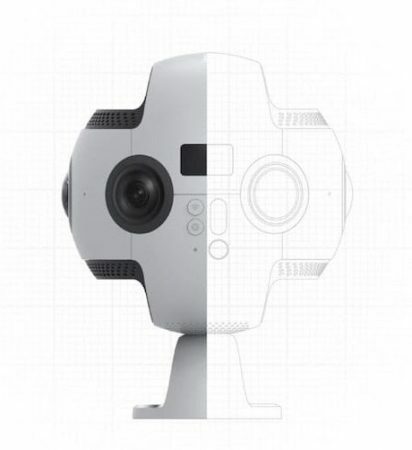 😀 The short answer is that there is no single best 360 camera for virtual tours. It depends on your needs and priorities. I’ll talk about the different setups you can use, and what are the advantages and disadvantages of each one. Hey mic, i have been struggling to update the firmware on my insta 360 pro with my sd card. Do you have any solutions or different ways I can update the firmware? Newest feature of your Insta360 camera: printing money!